Time: Reception at 6:00 pm. Dinner at 7:00 pm. 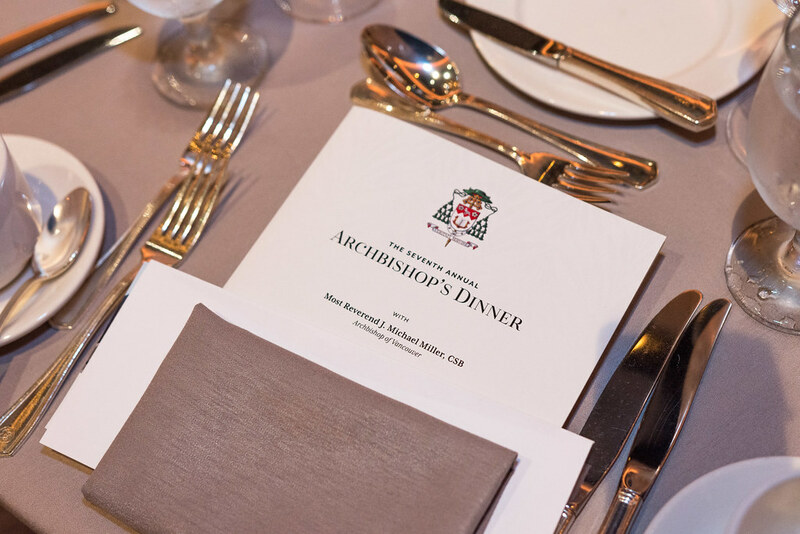 Archbishop Miller has designated the proceeds of the Seventh Annual Archbishop’s Dinner to help the Archdiocese meet the costs of its intensive and comprehensive formation program for our future permanent deacons, along with the continuing education of those already ordained. Your donation and support will ensure well-trained ministers to bless our parishes, serve the poor, and contribute to the Church’s presence in hospitals, First Nations communities, ports, and ecumenical gatherings, among many other places. For more information, please contact development@rcav.org. If you are unable to attend the event but would like to support the Permanent Diaconate Program, click on the button below to donate. Servant-Leader of the El Shaddai-DWXI PPFI Inc.